There is an ongoing need for Swedish to English certified translation services for foreign divorce cases. In the case below, the husband and wife filed separate divorce proceedings in their countries of residency, Sweden and the United States. In Lynch v. Lynch, the parties were married in Virginia Beach, Virginia. The husband was an active member of the United States Navy and the parties moved around from Virginia Beach to Maine, to Belgium, to Arlington, and, eventually, Sweden. In 2013 while the parties were living in Sweden, the parties separated. The wife returned to Maine and the husband remained in Sweden. After the wife moved back to the United States, the husband initiated divorce proceedings in Sweden. The wife objected to the proceedings on jurisdictional grounds, arguing that the Swedish court had no jurisdiction over her. The Swedish court stayed the husband’s divorce proceedings for sixth months pursuant to a “reconsideration period” under Swedish law. During the “reconsideration period” in Sweden, the wife filed for divorce in Maine seeking a dissolution of marriage, a court order distributing marital property, spousal support, and attorney’s fees. The husband moved to dismiss the wife’s divorce complaint on forum non conveniens grounds. The husband argued that Sweden was a more appropriate forum to decide the divorce than a court in Maine. The court denied his motion to dismiss because the Swedish court had not entered a final judgment. The court also determined that Maine was a more convenient forum to decide the division of marital assets. The husband appealed the court’s denial of his motion to dismiss. Various appeals ensued both in Sweden and in state court in Maine. The husband again moved to dismiss the wife’s divorce proceeding in Maine, which the trial court then granted. The court concluded that the wife “had a full and fair opportunity to present her contentions concerning spousal support and enforceability of an earlier settlement agreement in the Swedish forum” and that the court was required to recognize the divorce entered by the Swedish court pursuant to the doctrine of comity. The wife then appealed the Main court’s dismissal of her divorce proceedings to the Supreme Judicial Court of Maine. On appeal, the wife argued that the trial court erred in determining that the Swedish judgment completely barred her divorce action in Maine. The Supreme Court of Maine agreed with the wife in part. The court held that the trial court should not have dismissed the wife’s claims for spousal support, division of marital property, and attorney’s fees because those claims are divisible under state law. The court noted that the only portion of the parties’ divorce proceedings that had been adjudicated in Sweden was the dissolution of their marriage; the Swedish court had not addressed issues of spousal support. Accordingly, the Supreme Court of Maine held that it was premature for the trial court to address issues of marital support and distribution of property before those issues had been decided by the Swedish court. The court held that the trial court would need to wait for the conclusion of the appeal in Sweden to determine its authority to address the wife’s remaining claims. The case is Lynch v. Lynch, 158 A.3d 1, decided on Mary 7, 2017 by the Supreme Judicial Court of Maine. 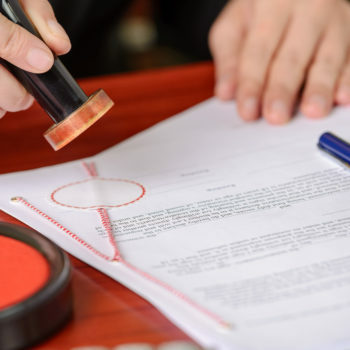 Document translation service All Language Alliance, Inc. provides divorce document translations and legal translation services for family law attorneys. 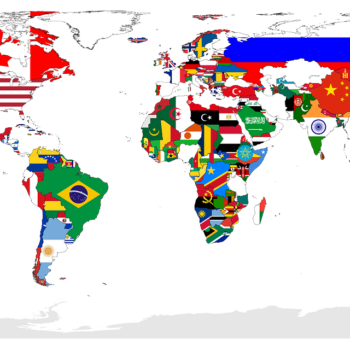 Contact us to obtain legal translation from Swedish, Simplified Chinese, Indonesian, Traditional Chinese, Portuguese, Spanish, French, German, Bulgarian, Japanese, Bosnian, Arabic, and other foreign languages, and legal document translations from any foreign language to English. Translating Social Media Evidence in Court Cases Read It! Russian Translation for International Proceedings Read It!